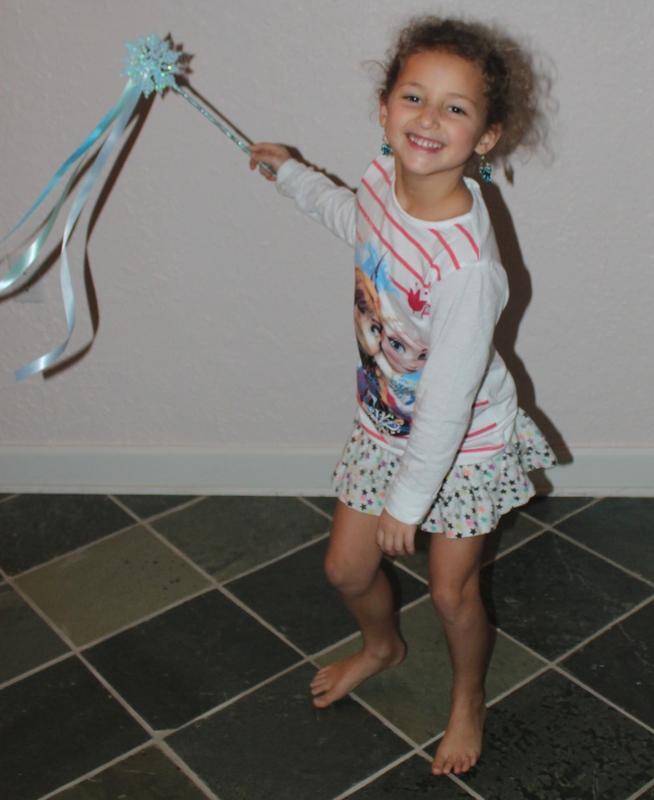 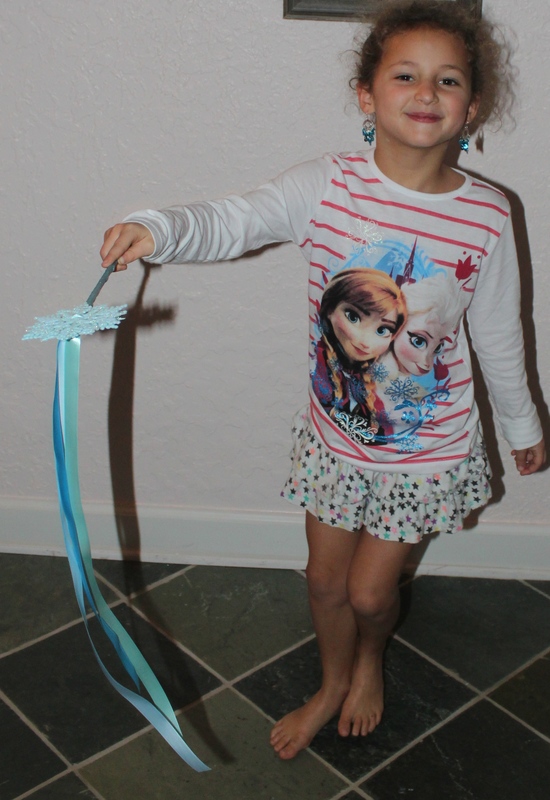 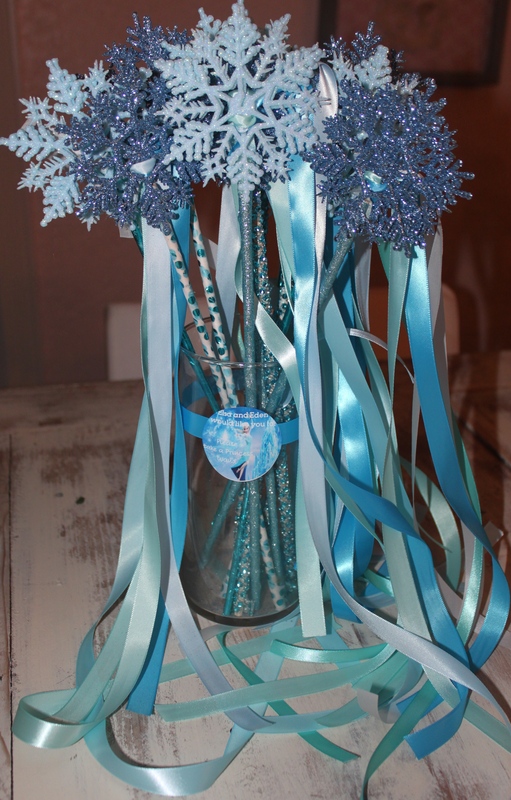 For my daughter’s Frozen birthday party, I wanted each girl to walk in and receive a wand. 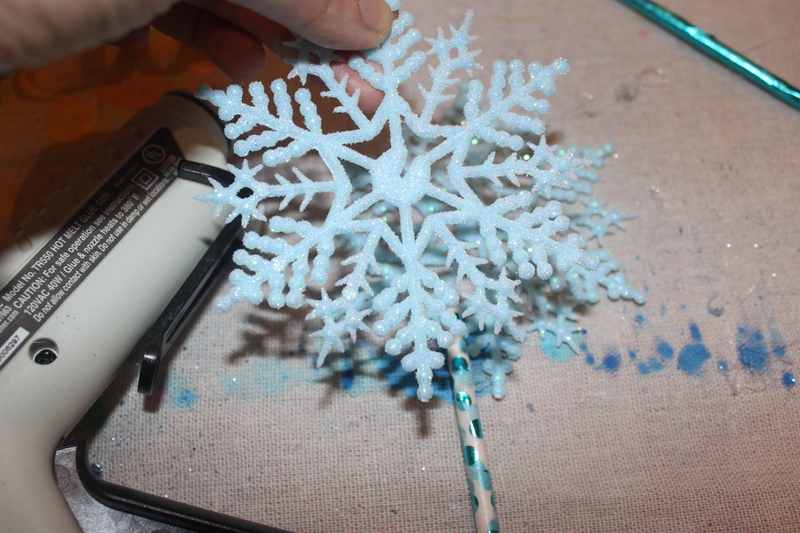 I was shopping in Walmart and I found these sparkle snowflakes and the idea came to me! 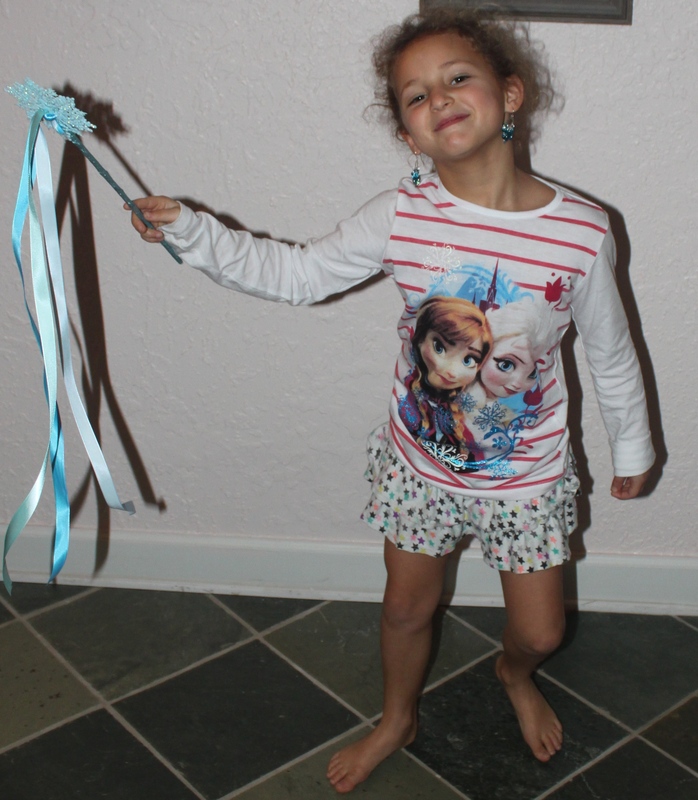 In about an hour I had 12 wands! 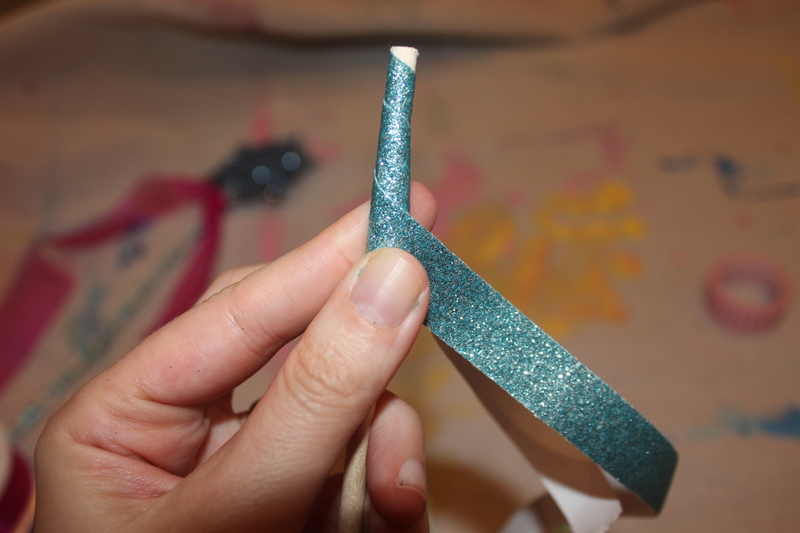 Take your washi tape and wrap around your dowel. 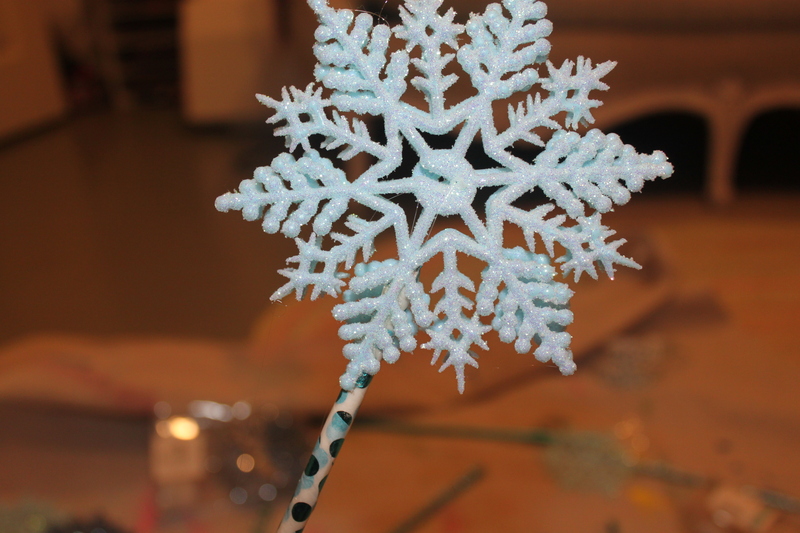 Take your snowflake and place hot glue at the tail end. 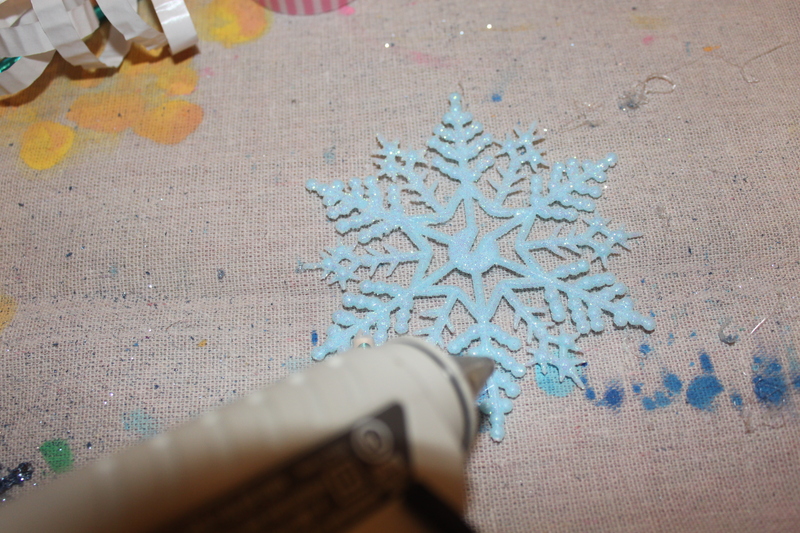 Lay your dowel on top of the glue and press into place and wait for it to dry. 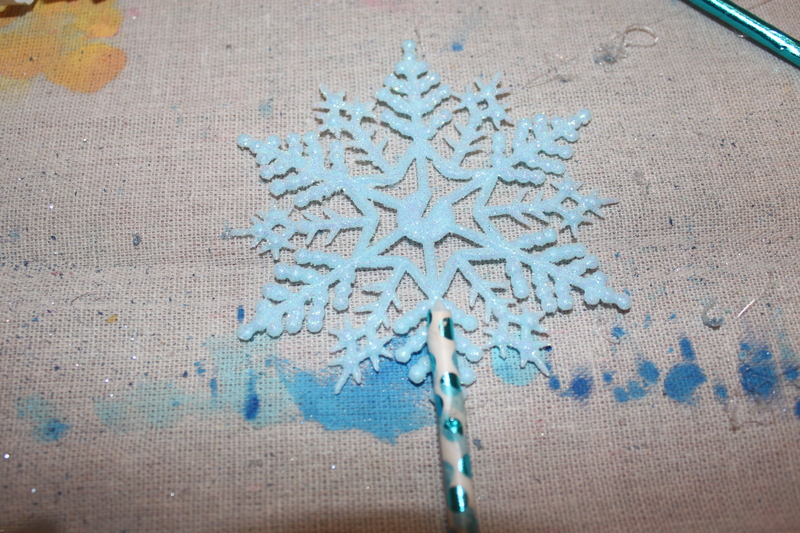 Take a second snowflake and place glue on the tail end and in the middle and place it on top of the dowel and snowflake and press into place and wait for it to dry. 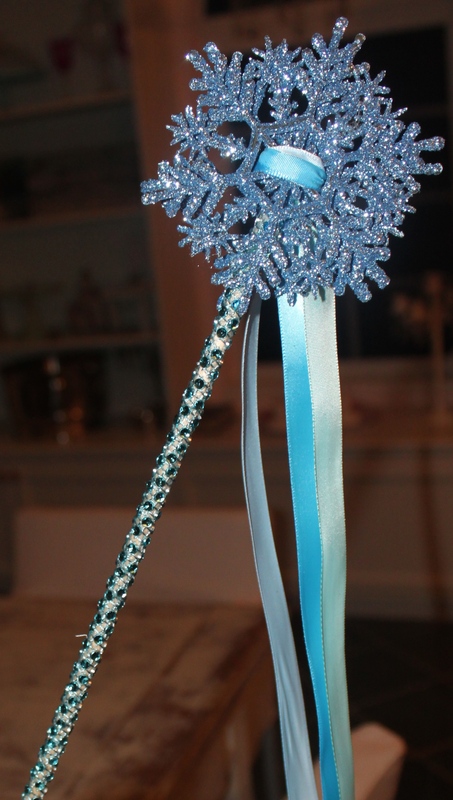 Just add long strips of ribbon and tie around snowflake and knot in the back.